Anna Anderson: long-lost Russian duchess or A Great Pretender? Public domain image courtesy of Wikimedia Commons. Throughout history, imposters have sought to be someone they’re not. Some claim to be long-lost heirs to a fortune, while others say that they’re the “real” version of someone who died under tragic circumstances. The stories these imposters concoct are fantastical, but they usually don’t stand up when a trained investigator takes a good, hard look at the evidence. 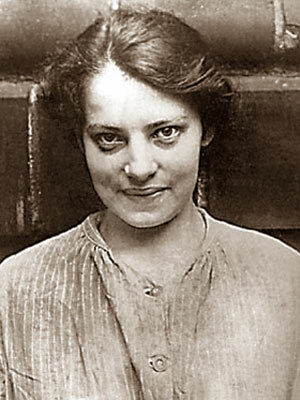 Anna Anderson is one of the best known imposters. She claimed to be Grand Duchess Anastasia, having escaped being shot to death and stabbed in 1918 along with her royal family in Russia. But the odds of surviving that execution were virtually nil, and a 2009 L.A. Times article says that it appears that Anastasia and her brother Alexei may have been found anyway. I have to wonder about the psychology of scam artists like this. What are they hoping to accomplish when it’s so easy to disprove what they say? Sometimes the person is clearly trying to make money off someone else’s misfortune or to gain notoriety. Others genuinely believe in their own myths to the point of obsession and convince others to believe in the same myth. In his book, The Great Pretenders: True Stories Behind Famous Historical Mysteries, Jan Bondeson takes a look at several historical cases of people like Anna Anderson and Kaspar Hauser. Bondeson tells the story of the real person and then looks at the facts. In most cases, the evidence doesn’t hold up and the person is exposed as a fraud. Bondeson also goes a step further by examining DNA evidence. He writes from a medical standpoint, since he’s an M.D. and a clinical senior lecturer at the University of Wales College of Medicine in Cardiff. Bondeson has also written other books which I can’t wait to get my hands on — they sound interesting. Overall, it’s a good read and I’d recommend it for anybody who likes historical mysteries. I had only one minor nitpick — some paragraphs were WAY too long (think Dostoyesky) and made me long to get out my editor’s red pen and chop ’em down a little. Arrrgh.